to purchase additional stock of meter boxes, conductors, plugs, and electric motors. Carter benötigte 1000 US-Dollar, um ein Gewerbe im Bereich Handel auf- oder auszubauen. Carter benötigt für dieses Geschäft noch 825 US-Dollar. Carter is a male aged 40 years, living in Harare, Zimbabwe. He is married, and stays with his wife and two children, one in high school and the other one in primary school. 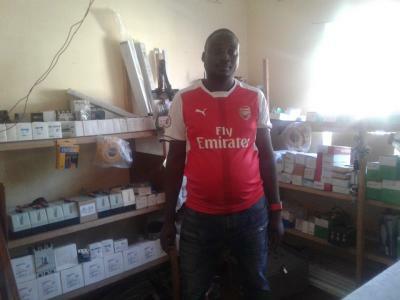 He sells electrical goods such as meter boxes, conductors, plugs, and electric motors among others, a business he has been running for a year now. Carter has requested for a loan from Microhub to purchase additional stock of meter boxes, conductors, plugs, and electric motors in order to meet increased demand from people who are building houses. Income from this business will help him pay for his children's fees, house rentals, and general family upkeep. His wife is unemployed, and this business is the family's only source of income.